RPGs spin tales of wondrous places and fantastic adventures, but it's the real world that shapes how gamemakers tell those stories. Mass Effect is a lot of fun, but you always know what you're going to get out the lead character, because it's exactly what you put in. In JRPGs, however, some would argue that the lead characters - indeed, all the characters - are more vibrant and unique. In issue 279 of The Escapist, Joe Myers makes the case that it's differences between Western and Eastern culture, and specifically the different importance of the individual versus the group, that makes the two branches of RPGs so different. An RPG is, by definition, a game in which the player gets to be someone else. In typical Western-style RPGs, the main character is such a blank slate that even the responses one is able to give are flat - either flat-good, flat-neutral, or flat-evil. As great as Mass Effect is, even with its creative dialogue and intricate responses, in the end, it's just that - a matter of selecting just good, neutral, or evil choices. Commander Shepard just isn't capable of surprising the player with his personality the way Beat does in The World Ends With You when you find out that he isn't just a tough guy with a chip on his shoulder, but someone grieving over losing himself in the heart of his sister. Yes, it's easy to like Shepard, but it isn't because he was a fully developed character, but because at some level he is the player. Beat started out as being an annoying dumb character, but ends up becoming more of a sympathetic, relatable guy. Why is it important? It made the side character of a somewhat sleeper JRPG more interesting than the main character of one of the biggest WRPG franchises on the market. There simply isn't a lot of real personality to go around, but that sort of goes with the individualistic ethos of a WRPG. 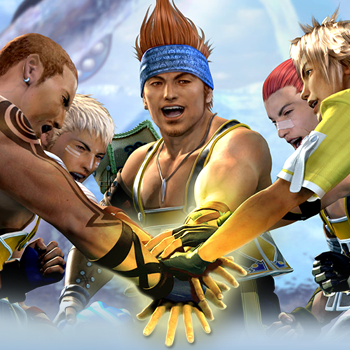 Myers suggests that JRPGs offer a richer experience because of the value placed in the bonds of friendship and camaraderie, which in turn leads to more emphasis on how party members interact with each other. You can read more about in Myers article, "United We Stand."